Along with other precautionary measures, such as seeking shade and covering up, sun care products form an essential part of preserving the health of our skin. And with dozens of products choose from, consumers are spoilt for choice when they shop for sunscreen products. Making the right purchase, however, comes down to a lot more than price. The damage caused by the sun’s rays is due to the UV radiation they contain, which comes in two different wavelengths – UVA and UVB. It is UVB rays which cause the most obvious signs of skin damage, such as redness and the blistering which is commonly linked to instances of skin cancer. UVA rays, however, are associated with more long-term effects, in the form of premature ageing, a weakening of the immune system, as well as some cancer risks. A sunscreen’s ability to protect from UVB radiation is known as the Sun Protection Factor (SPF). The EU recommends that the UVA protection level should be at least a third of a product’s SPF, and sunscreen meeting this requirement features a logo with the letters “UVA” printed inside a circle. While experts recognise UVA exposure as a serious threat, it is frequently overlooked by consumers. A recent study found that more than half of parents would choose a sun screen based only on its SPF rating to prevent sunburn, without considering the damage caused by UVA. Choosing the right sunscreen filter – Mineral or Chemical? All sunscreen products rely on active ingredients in the form of mineral or chemical filters to protect against the harmful effects of the sun. Examples of mineral options are titanium dioxide (TiO2) and zinc oxide, while Mexoryl SX (INCI: terephthalylidene dicamphor sulfonic acid) and Oxybenzone (INCI: benzophenone-3) are ingredients in chemical filters. Mineral sunscreens, such as TiO2, form a protective layer on top of the skin and reflect UV rays, whereas chemical filters are absorbed into the skin where they then affect UV rays that enter the body, causing them to be emitted as infrared rays. The advantages of mineral over chemical sunscreens have made them the go-to option for parents or people with sensitive skin. Paul Wright, an Associate Professor at RMIT University’s School of Health and Biomedical Sciences, says chemical options can “cause skin irritation and allergies, need to be re-applied more frequently, and are absorbed by the skin to a much greater extent”. Choosing the right mineral sunscreen – TiO2 or Zinc? The level of protection your sunscreen gives you is based on its strength and how thickly you apply it. However, people generally apply around half the recommended amount, leaving them under-protected from the sun’s rays. 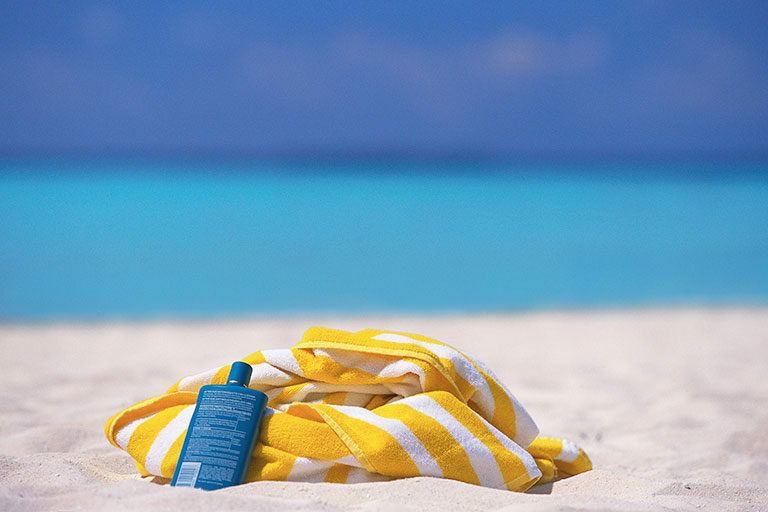 Helping tackle the application problem are ground-breaking tech advancements that have seen ‘nano’ TiO2 becoming widely used in sunscreen as it makes it simpler and less frustrating to apply. 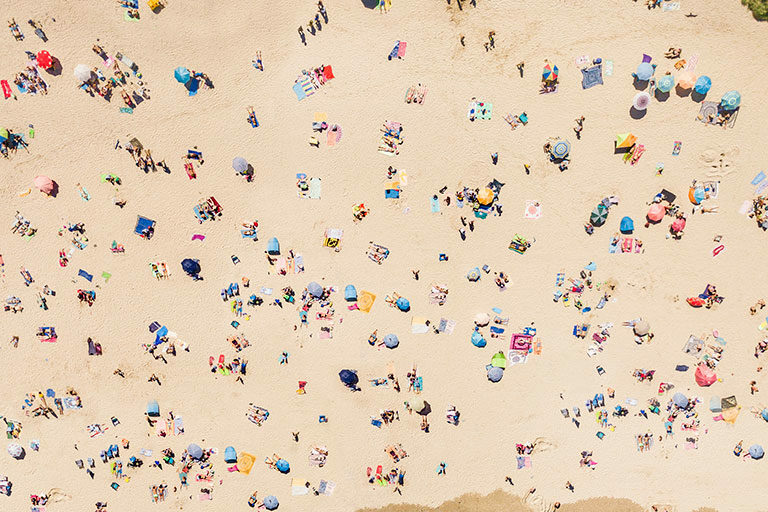 “Nanoparticles of TiO2 are often incorporated into sunscreens as UV filters and have a history of extremely safe use,” says Dr. Chris Flower, Chartered Biologist and toxicologist and Director-General of the Cosmetic, Toiletries & Perfumery Association. Experts generally advocate the use of a product containing SPF 30 or more to account for the lower levels of consumer application. Recent research by King’s College London, appears to back this up. Here, scientists conducted a major investigation into DNA damage caused by UV rays. They discovered that volunteers wearing sunscreen at officially recommended levels showed significantly less damage than those subjected to a single day’s exposure to a low dose of UV rays without protection.